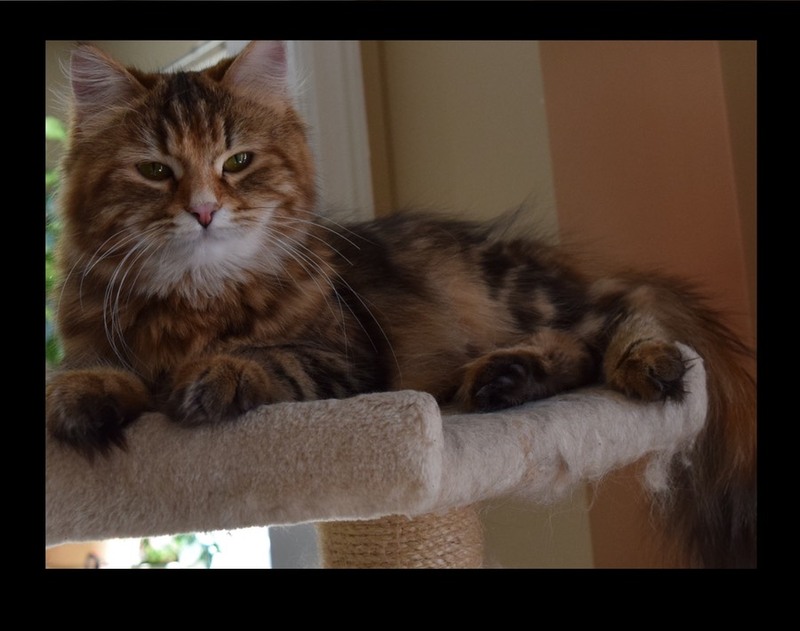 Zosia arrived in Canada July 2012, she was imported from Russia along with her daughter to join our cattery. 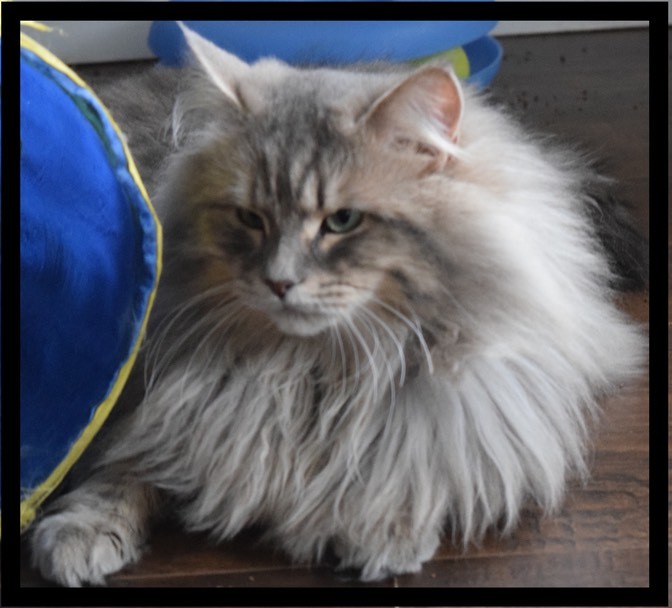 Zosia has come to us from Rossity Siberians a breeder of Traditional Siberian Forest Cats located in Moscow Russia. 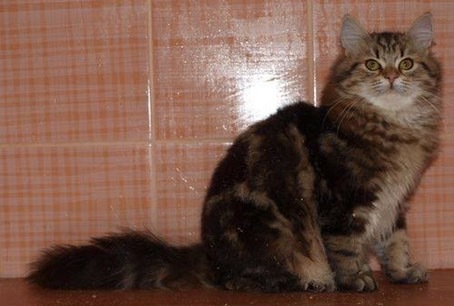 Zosia is two years old and has gained championship status through Aston WCF in Russia. 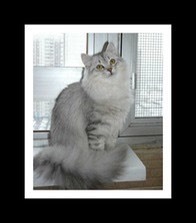 She is of traditional blood lines and traditional color , she is considered to be a Silver Mackrel Tabby . 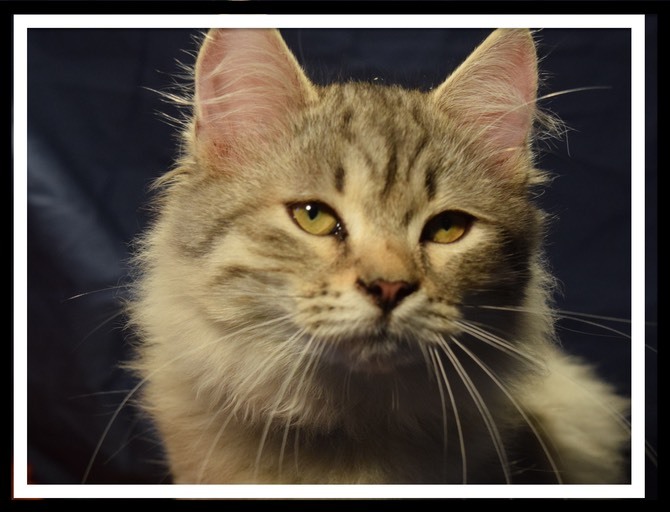 Oxana is the grand Daughter of Rossity Zosia of Iceforest and daughter of Rossity Dasha of Iceforest and Rossity Izum of Iceforest and was born to our cattery in June 2017. She was just old enough to make debate late in 2017-2018 show season and has earned her championship. She is still very young but we anticipate her having a excellant show career as she matures into one fabulious girl, just like her mom and Grandmother. She is a big bone little girl and very loving in nature that carries a sweet expression . Ana is a Silver Mackerel Tabby. Tara and her sister have arrived to us from the Ukraine. She is a sweet heart and head greeter here at the cattery. She comes to visit every newcomer when isnt fusing over her babies. She is a great mom and beautiful companion to the rest of our brood. She has fabulous golden marble coat which she passes on to her babies. Inka is a full sister to Tara from the same litter . A darling girl that loves to snuggle up and is first on hand for attention.n called. She is an amazing mother and produces quality offspring . Izum is off to a great start in his career,both as a champion and a father. He is also Imported from Moscow .His Dam is in International Champion in Russia and his Sire is RW Supreme Grand Champion TICA, Grand Champion CFA, European Champion WCF, International Champion FIFe Rossity Kamysh . Izum is very sweet but shy and a huge lovebug. and is considered a Brown Classic tabby with a large traditional body style at the age of 2 he is about 17 lbs . Mar is the new man in town and is sure to share his amazing looks with his babies. Mars has been imported from Moscow, Russia . Mars is a very large cat and is slow to mature and is still very shy but will be making his show debute late in life as he is still young. Mars come from the internationally recognized pair Father: Beilis is a Grand International Champion-WFC a creme spotted Tabby from Moscow Russia Mother: Camilla Slavic a Black golden spotted tabby from Moscow Russia. He is still very young but is following in his fathers paw prints.